The fair’s in town. I took all my neon pens down to draw it, but the angles were quite tricky. 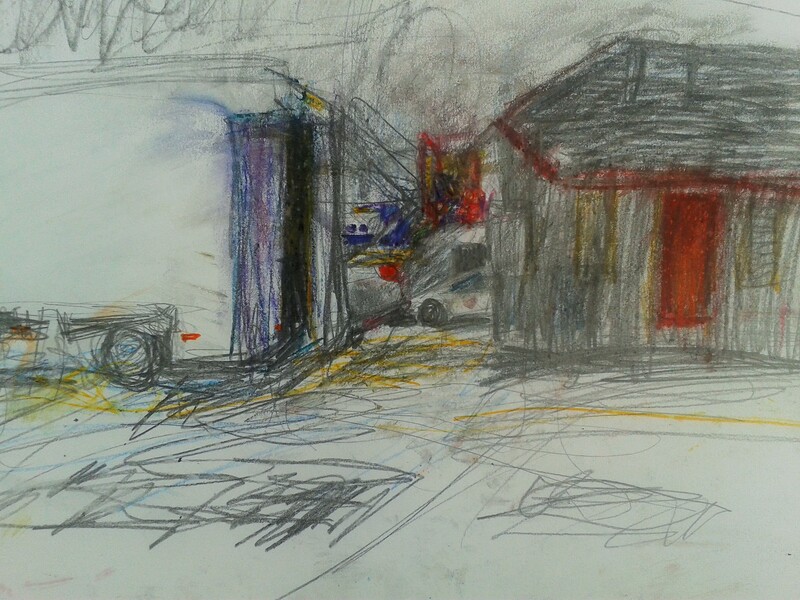 I didn’t just want the riotous colour and clutter, but the low grey skies and the sea surrounding them. Quite eerie, all standing still and silent and empty of people.